Source over 160 brands of the most sought-after audio and video equipment from one company, one contact, on just one purchase order. Our competitive pricing is nearly always the same as "dealer direct" pricing, yet TMP Pro Distribution gives you the convenience of no minimums, opening orders, nor commitments. When you request a quote from TMP Pro Distribution, we will itemize every piece of gear to make your bids easy to prepare. TMP Pro Distribution offers product consolidation, drop shipping to job sites, and a single point of contact. Both our sales staff and customer service team are friendly and responsive. Call us today and discover the TMP Pro Distribution advantage for yourself! The Music People! Inc. enters its fourth decade supplying music dealers, sound contractors, and other professional audio businesses. TMP Pro Distribution, the Pro Audio Division of The Music People! Inc., offers an ever-expanding line card including more than 170 of the finest pro-audio brands in the industry, including AKG, Atlas Sound, Audio-Technica, Crown, EV, Sennheiser, Shure, Tascam, and Telex. We are proud to supply some of the largest sound contractors in the U.S.A, as well as service over 1500 local, regional, and national accounts annually. It takes more than simply offering great products to keep our customers coming back. We have built strong relationships with major manufacturers that allow us to offer our customers the perks of being direct, without the cost, floor space, or commitment of maintaining 170+ brands. Our team is recognized by manufacturers and customers alike for its application knowledge. In many cases our reps are trained directly by the manufacturers with exactly the same regimen as their own techs. This broad knowledge of products from many different manufactures gives our team unsurpassed experience in drawing together all the different pieces your project needs. TMP Pro Distribution is proud to offer a level of sales support and customer service that is truly second to none. The core of our business philosophy is to offer our customers an easy one-stop shopping experience with access to virtually every major line of pro-audio product. TMP Pro Distribution is a customer service driven operation with thousands of products in our arsenal. As a distributor, we do not sell to end-users, which allow us to focus our marketing, purchasing, and sales efforts on making your business more profitable. 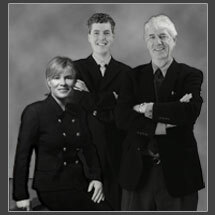 Our sales staff includes musicians and audio installation pros with years of customer service experience. TMP Pro Distribution is proud to have one of the most knowledgeable, responsive and friendly sales teams in the industry. Our team is prepared to serve all of your equipment needs.